I don’t know if you guys noticed, but there’s this awesome holiday coming up soon. It’s full of family, food, and love. No, it’s not Christmas, although most stores around here seem to love skipping from Halloween to Christmas (too soon!). I’m talking about the good old Turkey Day. This year, Thanksgiving is going to mean even more after the damage that Hurricane Sandy created in our area. There are still people without power in their homes, and some don’t even have homes to celebrate in this Thanksgiving. My own parents were without power for over 12 days, and most of the food they had stockpiled in the fridge and freezer for Thanksgiving had to be used up or thrown out. But, thanks to the rest of the family, we’ll still be celebrating Pot Luck style. How cool would it be if you could feed 40 people Thanksgiving dinner for only $10 bucks? Well, most frugal shoppers can get it somewhat close to this, but $10 is a pretty steep goal. This year, you can do it, just by donating to City Harvest. 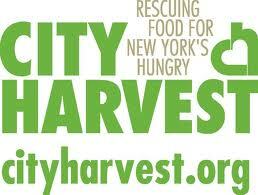 For more than 30 years, City Harvest has been on a mission to end hunger in New York City and the surrounding areas. They collect food from some the best NYC restaurants and pass it on to those in need. This year, they are teaming up with Groupon and offering a great deal: Donate $10 and you’ll provide a healthy Thanksgiving feast for 40 people. I can’t think of anything better to buy a groupon for! So, check out the deal and please give. A big thank you to Groupon for partnering with City Harvest and offering this opportunity to us!